President Obama and his diplomats assured the world there was no military solution to the Syrian civil war, even after Assad’s regime violated an American “red line” not to use chemical weapons against its own people in 2013. President Obama was dead wrong. The world’s bloodiest ophthalmologist wrongfully treated his own people with explosive chemotherapy when in reality, Dr. Bashar Assad and his Alawite regime were Syria’s true cancer. Vladimir Putin has proved that Russia has succeeded in imposing a military solution to the longest bloodiest civil war in Arab history since Algeria in the 1990’s. The Kerry-Lavrov ceasefire in Munich would not have been possible without Russian success on the battlefield, especially the air campaign that enabled the Syrian government to retake rebel held Homs and Aleppo. It did not matter to Assad nor Putin that the intense bombing caused the deaths of thousands of civilians and another refugee crisis in the Turkish frontier. The ceasefire will enable Assad’s blood-Ba’athist regime to complete the encirclement of Aleppo. Putin claims to bomb “terrorists” but Russia has deliberately not bombed the Islamic State, almost as if the existence of the murderous, self-styled “caliphate” is necessary to justify the continued role of Dr. Assad as a “secular moderate” and enable Russia’s post-Soviet ambition to become an equal Great Power with the US in the Middle East (1). The Munich ceasefire is a strategic, military, diplomatic, and domestic triumph for Putin’s regime despite the economic crisis caused by the oil price crash recession and Western sanctions related to the 2013 Crimea Crisis in Ukraine. The US is, ironically, helping out the Assad regime as it accelerates its own bombing of the Islamic State and Al Nusra Front targets. It is only a matter of time before Hezbollah, Iran and Russia help the Syrian government destroy the “moderate” rebels in northwest Syria. The US President and Secretary of State predicted Russia would face a “quagmire” in Syria, a post-Soviet Afghanistan. Wrong again. Vladimir Putin is now the dominant powerbroker in Syria and has protected his naval base with negligible casualties. Russia has helped Dr. Bashar Assad with the Syrian civil war. Russia has deepened its strategic military and economic ties to Iran. Russia has proven to the world that, unlike the US, it can and will protect its allies in the Middle East. This is exactly the reason why Turkey, Egypt, and Saudi Arabia are reluctant to cut their own political and economic deals with Putin’s Russia. Not since Khrushchev first arms deals with Egypt’s President Nasser in the 1950’s has any Kremlin leader succeeded on such a scale in the diplomatic chessboards of the Arab world. Putin can now use his diplomatic clout to demand concessions from the US, France, and Germany over Ukraine as well as use his “Russophone Doctrine” (The Kremlin will protect Russian speaking communities no matter where they live) to intimidate Moldova, Latvia, Estonia, and Kazakhstan. The imperial DNA of the “Russian Bear” will make the world once again hear its geopolitical growl. The annexation of the Crimea is a diplomatic fait accompli (3), just as Hitler’s Anschluss in Austria was in 1938 under the umbrella of the “Germanic Doctrine”. 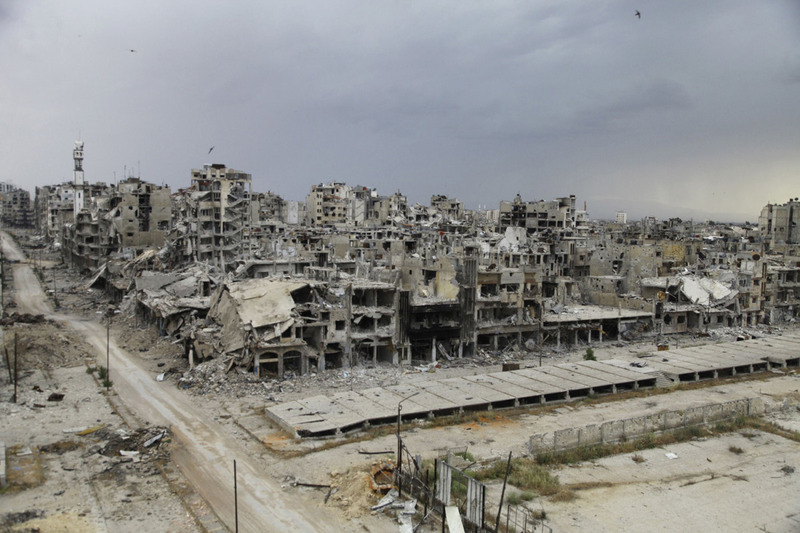 The next US President will inherit the disaster of the Obama White House policies in Syria. This Munich ceasefire is not the finest hour of American diplomacy, even if it wins John Kerry the Nobel Peace Prize. In fact, I can even envisage a scenario where Vladimir Putin wins the Nobel Peace Prize (since Donald “The Wall” Trump is in contention for one this year, then why not?!) by ending the Syrian civil war and allowing the House of Assad to rule the ancient Arab nation it has abused, repressed and now destroyed. 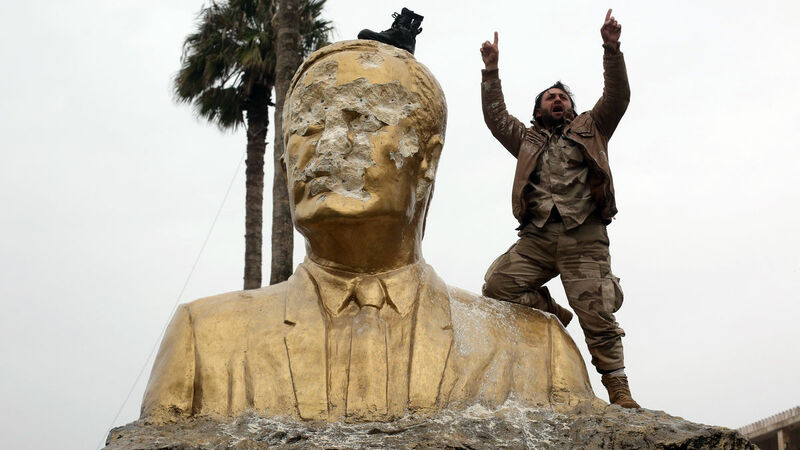 Assad’s rule over post-civil war Syria will be akin to the following extract from P.B Shelley’s poem, Ozymandias: “My name is Ozymandias, king of kings: Look on my works, ye Mighty and despair!” Nothing beside remains. Round the decay of that colossal wreck, boundless and bare. The lone and level sands stretch far away (4). It does not matter to the conscience of the Great Power that the Assad regime massacred 250,000 Syrians and created the biggest and most tragic refugee crisis in Europe since World War Two. Why have the “liberals” who protested Bush’s Iraq invasion in 2003 not protested Assad’s mass murder in Syria? President Obama’s foreign policy has reduced the global power and prestige of the United States and encouraged military gambles by friend and foe in the Middle East, from Yemen to Gaza, Libya to Iraqi Kurdistan. The Russian Prime Minister, Dimitri Medvedev, predicts a new Cold War. The multiple battlefields of the Arab world prove that he has spoken the truth.